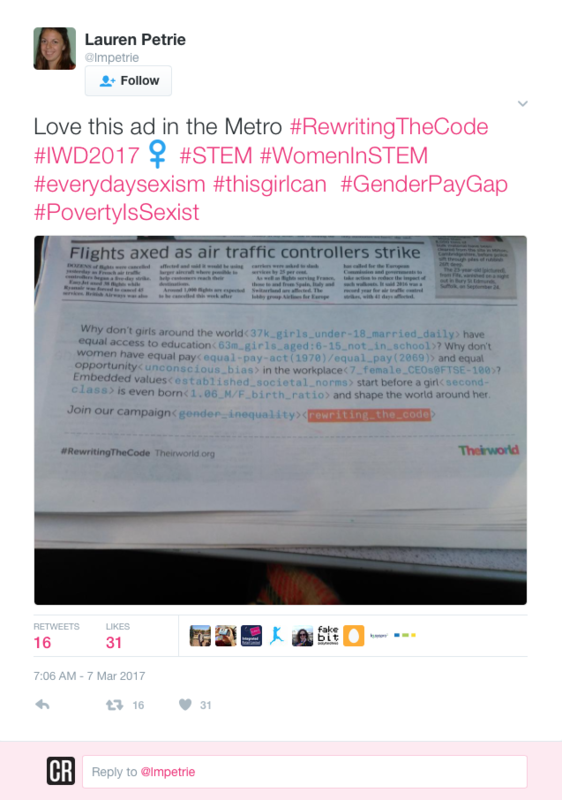 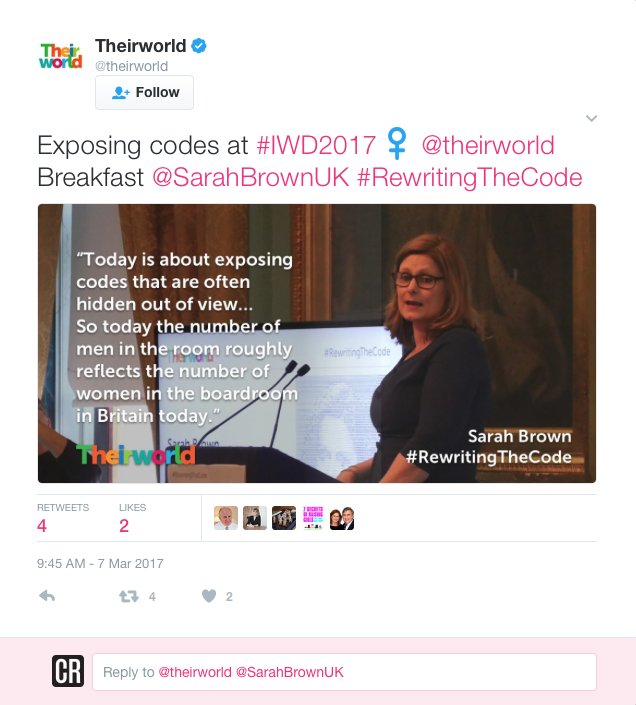 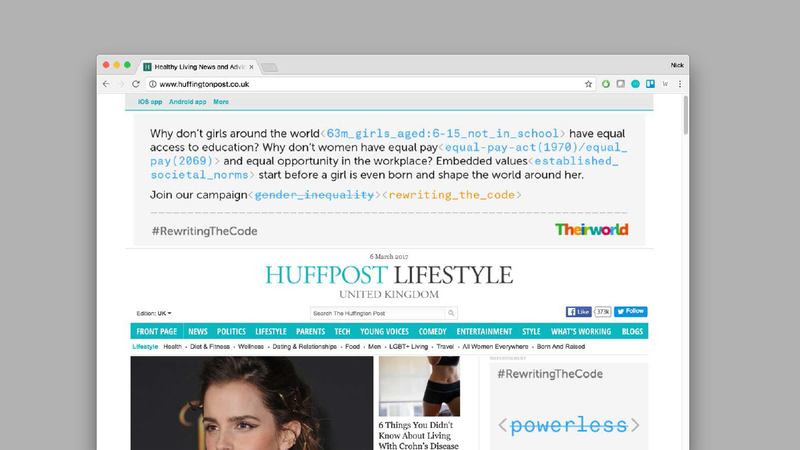 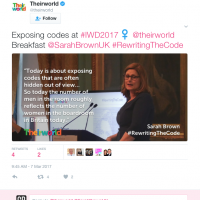 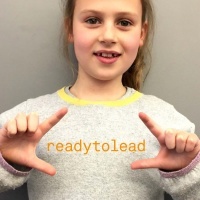 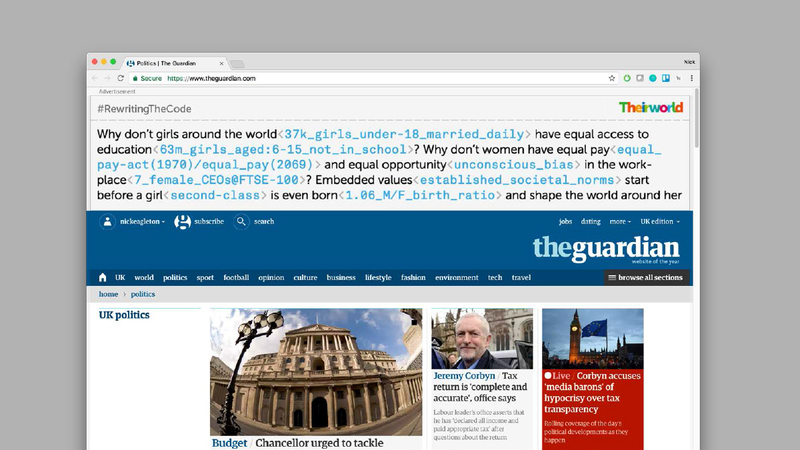 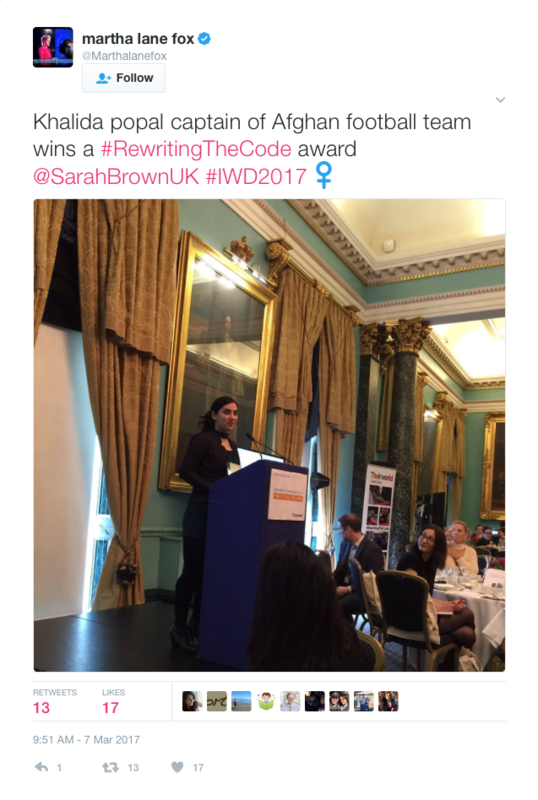 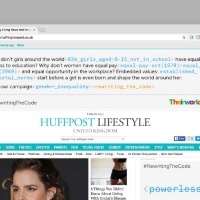 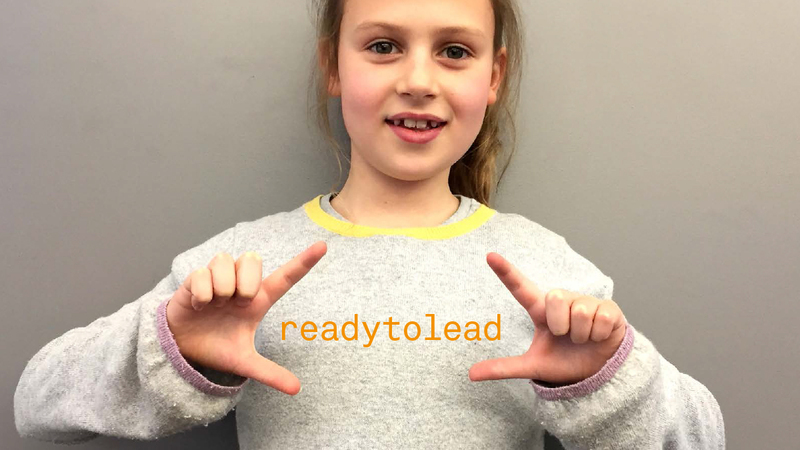 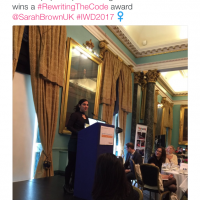 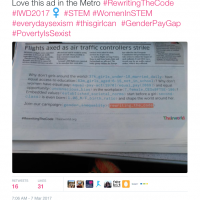 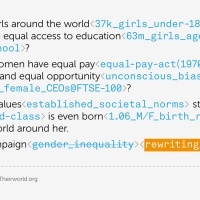 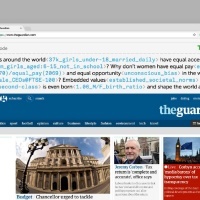 Children’s charity Theirworld suggest #RewritingTheCode this International Women’s Day in a campaign conceived by The Partners working in collaboration with other WPP agencies. 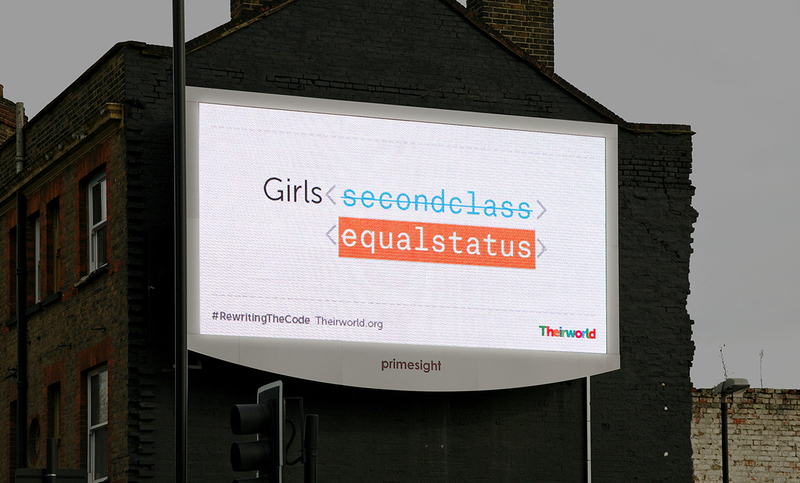 #RewritingTheCode aims to raise awareness of the obvious – and less obvious – attitudes that prevent girls and women around the world from achieving their full potential. 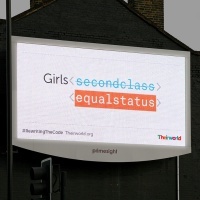 “Using the lexicon and symbols of digital codes, the campaign questions gender stereotypes and encourages the audience to consider the cultural codes that hide beneath the surface of our daily lives, shaping our experiences and holding back women and girls,” say The Partners. 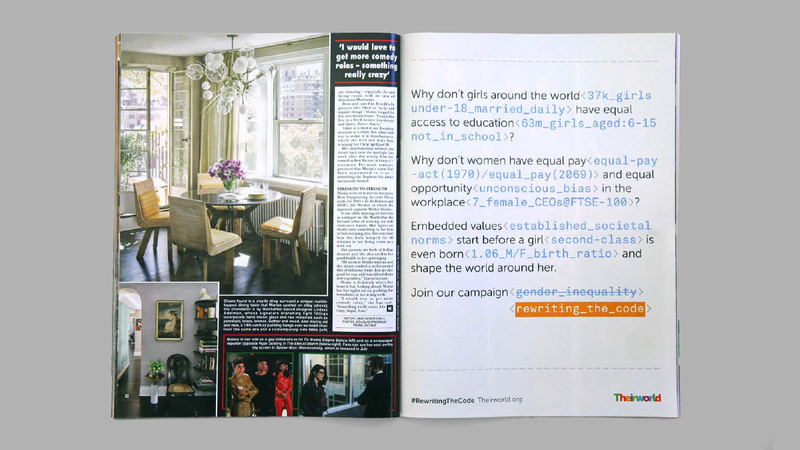 The original name and idea of using the embed symbol to ‘change cultural codes’ came from a 2015 entry to a D&AD New Blood Awards brief from WPP, Theirworld and The Partners by Niamh Deehan. 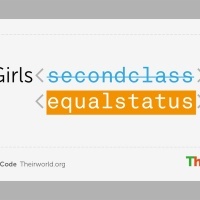 This new campaign is a development of a previous Theirworld initiative, which aimed to give girls access to technology to increase their learning opportunities. 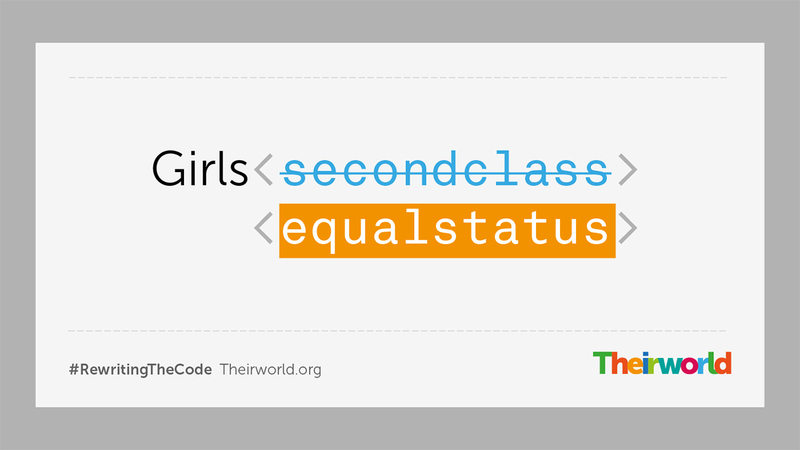 Theirworld currently facilitates digital Code Clubs in Kenya, Uganda, Nigeria, Tanzania and Lebanon, providing girls with coding and programming skills to support their formal schooling.